Estimates by the United States Department of Energy put the number of recoverable barrels of shale gas at around 1.8 trillion. To put that into perspective, Saudi Arabia is estimated to have roughly 2.6 trillion barrels of oil reserves. It then goes on to list more than two dozen instances of water pollution to which hydraulic fracking is believed to have contributed. A new waterless method of fracking has been proposed, but environmentalists are skeptical. Methane is a greenhouse gas and major component of shale’s carbon footprint. Researchers at MIT found that replacing coal power plants with natural gas plants could work as part of a plan to reduce greenhouse emissions by more than 50 percent. Several earthquakes both in the U.S. and abroad have been linked to the hydraulic fracturing process. The industry currently employs more than 1.2 million people in the U.S., and the Department of Energy estimates that natural gas resources have increased nearly 65 percent due to fracking, according to a TreeHugger graphic. Additionally, the gas industry accounts for about $385 billion in direct economic activity in the country, a Nature piece reports. Fracking is exempt from the Safe Drinking Water Act of 2005, thus allowing companies to conceal the chemicals used in the process. The fracking process can require around five million gallons of water. In some cases less than a third of that water is recovered. 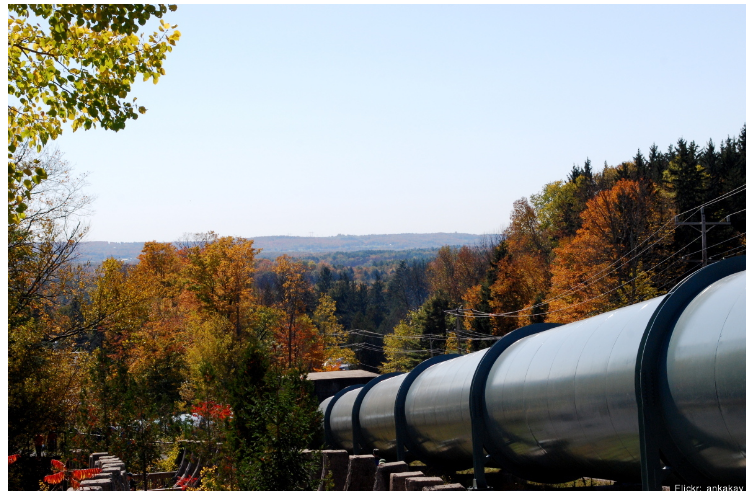 (Sept. 4) – Robert Mansell, academic director of the University of Calgary School of Public Policy, argued the benefits the pipeline could have for Canada. 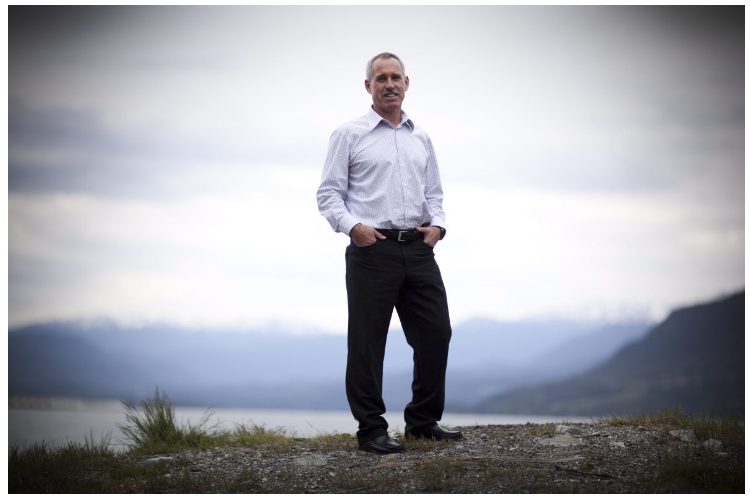 “Just imagine a situation where, if not for Northern Gateway, you had shut in 525,000 barrels per day for one year. That loss works out to $40-million a day, or $14.4-billion per year,” he said. (Sept. 4 ) – Albert a Federation of Labour argues the $6-billion line would mean 5% less refinery in Alberta and the loss of 8,000 jobs. “China is in the midst of a building boom in terms of refineries and refining capacity, so our fear is that if our policymakers allow this pipeline to be built we’ll end up in a situation where our own homegrown refineries are no longer economic and they’ll close down,” federation president Gil McGowan said. (May 2012) – B.C. First Nations leaders travel to the step of the Alberta Legislature to voice their concerns on the environmental damage. “The pipeline route that they have proposed is following the most major river system that we have and when the river is ruined, the people are ruined, the land is ruined,” said Hereditary Chief John Ridsdale of the Wet’suwet’en First Nation. “Would it do, as has been alleged — cause the rate of inflation to go up and then force the monetary authorities to tighten the money supply and thereby shrink the economy? The answer is no. (Sept. 5) – In a report submitted to the hearing, Texas-based energy consultant Muse Stancil said the Northern Gateway will have an effect on oil pricing in North America: “It can be expected to have a material effect on the distribution patterns and pricing dynamics for Western Canadian crude, as crude producers for the first time will have a high-volume alternative to their historical markets within North America,” said the Muse Stancil report. 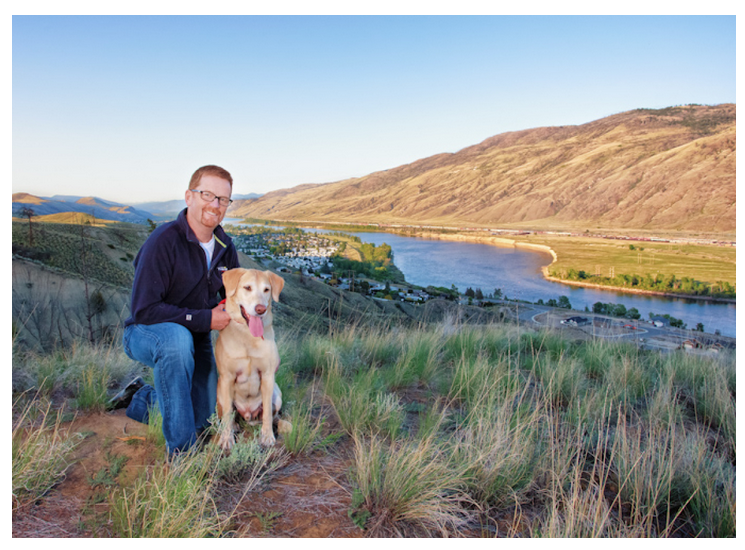 Sept. 5 – On the chance the federtal Tories could lose ground in B.C. 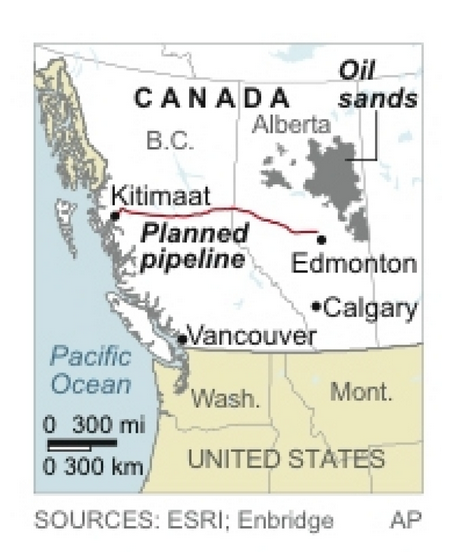 due to unfriendly policies such as support of pipelines to the west coast: “Among the risks to their base, I would put Northern Gateway highest,” Johnston said. “No, I just fundamentally can’t accept that,” replied Mr. Carruthers. “Because of the investment, everyone would want to make sure there’s proper funding available in case of a spill,” he said. 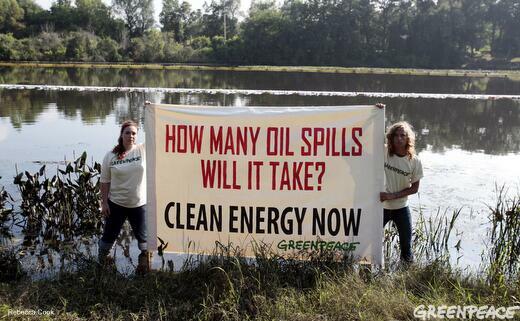 (Sept. 7) – “The question [is] whether Enbridge is actually capable of getting the kind of insurance to ensure against the risk of liability,” on whether the insurance is there should an oil spill happen. (Sept. 8) – “If free market economies aren’t at play, where’s the economic benefit?” asked Robinson about the economic effects of the hypothetical possibility of Chinese interests buying control of the Northern Gateway pipeline. (Spet. 6) – The Avaaz petition “No Enbridge Tankers/Pipeline in BC Great Bear Rainforest“ was started by James MacGregor and has since passed 10,000 signatures. “BC’s entire Great Bear Rainforest, its wildlife and the livelihoods of coastal First Nations are all at great risk if Enbridge’s Northern Gateway pipeline is approved,” he said. (Sept. 17) – On who could end up with ownership stakes: “If we don’t know who these investors are, we’re not able to determine if they’re financially viable, if they’re market-force driven or if it’s in the interest of Canadians,” she said. (Sept. 17)- Peters argues that an approval of the pipeline might mean a setback to Canada’s national climate change policy aims to reduce such emissions to by 2020. That cost “should be recorded as a negative and a cost to the planet,” said Peters. (Sept. 17) – In the worry that in the event of a spill, Enbridge won’t have tge insurance to cover the clean-up costs: “Enbridge and Northern Gateway are very aware of that concern now, so we’ll look to their response. 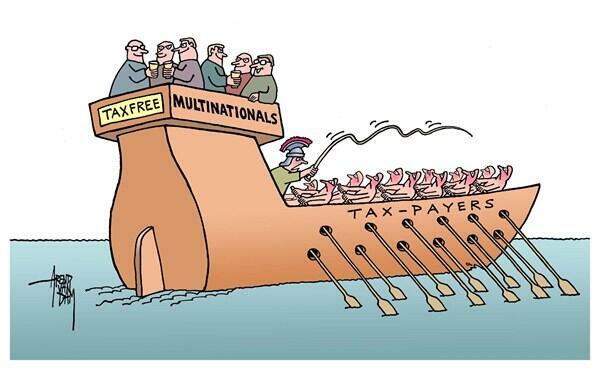 But we’ve made it clear that taxpayers will not be left on the hook,” Lake said. “I think that the company would argue they have the resources necessary. What British Columbians want to see is an ironclad guarantee that they do have the resources necessary, that the structure and the insurance in place will protect British Columbians from the cost of any adverse event,” he added. It’s simply unacceptable. A company shouldn’t be able to repeatedly break its own conditions of operation, violate the law, poison communities and soak landscapes in toxic oil and simply walk away with a slap on the wrist. TPP threatens to undermine the very notion of the public good, by giving corporations more power to undermine public policy. However, like all things government, the narrative seems to be to first create the problem, then move to fix it by more centralization, control and dependence. It’s a trend we see not just in our energy sector, but every aspect of our lives. To read the inspector general’s report, click here.